^ 1.0 1.1 Sherborne actor Ben Jones lands role in EastEnders. Blackmore Vale Magazine. 2013-04-24 [2015-02-07]. （原始内容存档于2015年9月23日）. ^ Former Sherborne pupil debuts as Peter Beale on Eastenders. Western Gazette. 2013-06-13 [2015-02-07]. 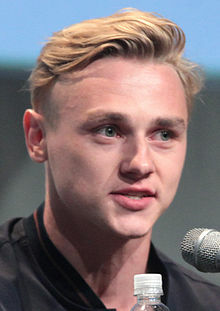 ^ EastEnders star Ben Hardy cast in X-Men: Apocalypse. Digital Spy. ^ Jeff Sneider on Twitter. Twitter. ^ Hewit, Chris. Exclusive: Bryan Singer Confirms Ben Hardy Is Angel In X-Men: Apocalypse. Empire Magazine. 2015-04-09.